This unusual rabbit sculpture shows an adorable little bunny cheerfully jumping over its mother's back, bringing another animal to mind - the (leap) frog. Made from metallic-look resin, this fun rabbit ornament depicts the bunnies in human form, complete with faded blue dress and dungarees. Showing the baby rabbit with its ears excitedly pricked and its mother's ears drooping as she bends, this rabbit figurine evokes a lovely feeling of warmth and innocence. 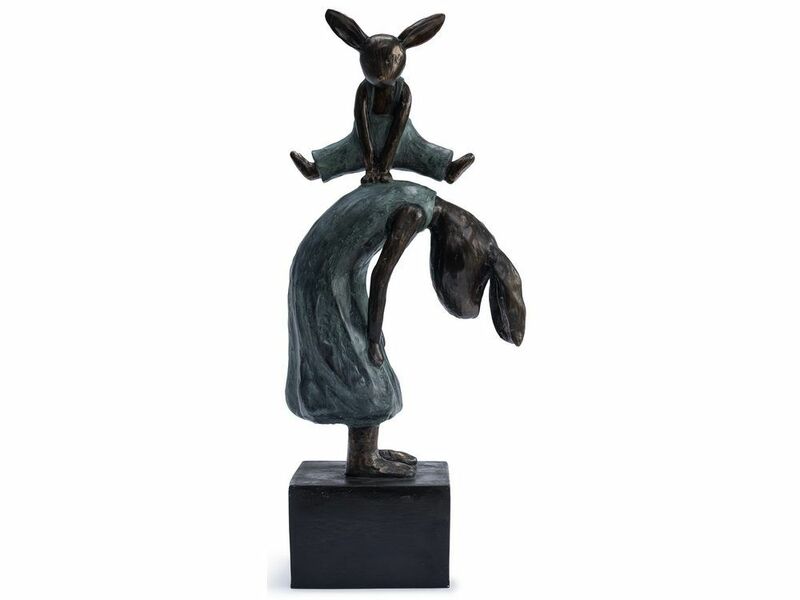 Mounted on a solid block base to add to the height of the jump, it's a great gift for rabbit lovers that will bring a carefree feeling to a room.